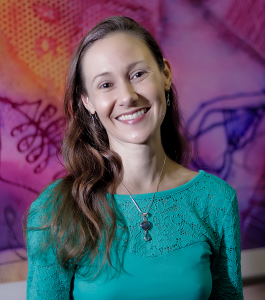 Wendy Lynn Nethersole has been working in the field of energy medicine for over 13 years with a specific interest in approaches that view the individual in a holistic way to balance the mental, emotional, physical, and spiritual bodies for the optimum stress relief. 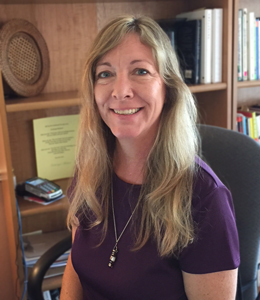 Wendy is an experienced biofeedback practitioner and worked with our team for 5 years prior to relocating to the Asheville, NC. Currently, Wendy offers distance healing sessions for the LIFE System. Over the years she has worked with individuals focusing on many issues, including assisting them to find clarity and inspiration in their lives. Wendy is warm and engaging and enjoys working with people to assist them in reaching their goals for optimum health and stress relief using the LIFE System. Wendy has been a lifelong student and holds a Bachelor of Arts & Sciences degree in Psychology from Virginia Polytechnic Institute and State University. She holds a Bachelor and Masters of Divinity degree from the Universal Brotherhood University and attends continuing education courses in her fields of interest for Integrated Wellness and stress relief. 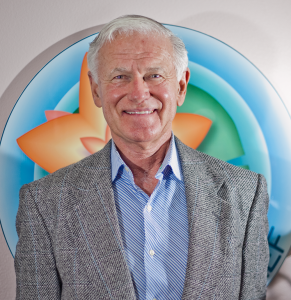 Allan Schulte, Executive Director of Lotus Stress Relief Center, LLC is one of the leaders in the field of energetic medicine in the United States and globally. Seeing the need for cutting edge applications of complementary medicine, Mr. Schulte founded Quantum Wellness Center in 2000. and Lotus Stress Relief in 2008. Mr. Schulte studied and gained his certification in the field of bioresonance and biofeedback in California. He trained in San Diego, at New Hope University, and did additional training in California, Mexico, Germany and Budapest, Hungary. He is a graduate of the University of Notre Dame in South Bend, Indiana where he earned a degree in Communications. He also holds several certificates in biofeedback. Mr. Schulte studied business at the Northeastern Small Business Institute in Boston. He gained his PhD in Psychology from Belford University in Texas. Mr. Schulte holds an international license as a biofeedback practitioner and a top-level group trainer with IMUNE – the International Medical University for Natural Education based in the United Kingdom. Mr. Schulte has been very involved in the development of biofeedback, bioresonance, and bioinformation as a way of relieving stress so that the body can heal itself. His company is known for the strength of its online training courses. Mr. Schulte and his team have been doing training sessions for biofeedback practices and have been helping individuals to start their own practices for over ten years. Students come to them from all around the US, Canada and the world. Therapist Evan Schulte works energetically to relieve stress from physical and emotional blockages. She has completed several advanced training courses for Human Growth, Development and Recovery to help clear physical and emotional trauma held in our energetic memory. This helps achieve emotional freedom and physical wellness on the deepest levels. Evan also specializes in working with children; she completed a course recently that focuses on helping children with Autism, ADD, ADHD and Allergies. Evan is a graduate of Ringling School of Art & Design and received her Bachelor of Arts degree in Interior Design. She has studied Environmental Interior Design / Green Design (using non-toxic products for building and design) and helping her clients to gain a better awareness of how the environment affects the body. Apart from working with people on biofeedback equipment, she is also using it to correct the interior energy of homes to help support a healthier atmosphere. Evan is a certified by NTCB as a Biofeedback Specialist who focuses on human and interior health. Currently, Evan is has IMUNE certification in biofeedback from the International Medical University for Natural Education based in the UK. Her training has taken her around the world from Mexico to Hungary and throughout the United States. She is both a talented biofeedback practitioner and trainer with her own training DVDs. 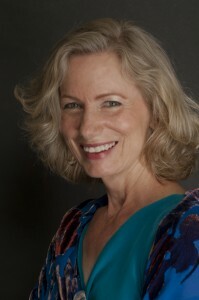 Marcia is the managing director of the Lotus Distance Healing section. Marcia specializes in distance coaching and helping individuals to integrate their physical imbalances into an integrated lifestyle. She is particularly skilled at career counseling and support. 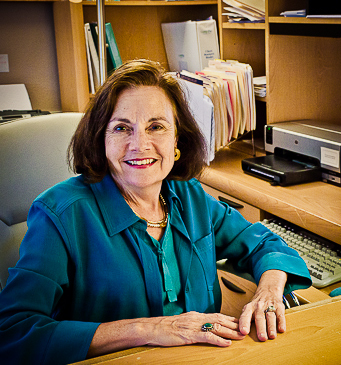 Marcia has an undergraduate degree from Hiram College in Hiram, Ohio, and a master’s degree from Case Western Reserve University in Cleveland. She has a background in education and communications. She has been a facilitator for A Course In Miracles and The Artist’s Way. She has been trained as a Reiki healer and in both biofeedback and bioresonance. Sabina Neal is a gentle and caring Distance Healing Practitioner that specializes in E.F.T. which is short for Emotional Freedom Techniques. These wellness techniques consist of tapping on specific acupuncture points to help clear negative beliefs and emotional patterns. Her gift is coordinating Distance Healing frequencies with E.F.T. to assist emotional clearances. E.F.T. gives the client a tool that empowers them to reduce stress at will. Sabina shares these techniques with her clients Combining with Quantum Biofeedback with E.F.T. exercises creates a synergy of wellness and harmony. Another aspect of wellness that Sabina is adept with is helping clients to understand the stress behind illness and working with positive affirmations to support health and well-being. Sabina was born and raised in Germany where her father was stationed with the US Army Command. She is an E.F.T. Practitioner and Distance Biofeedback Healer.